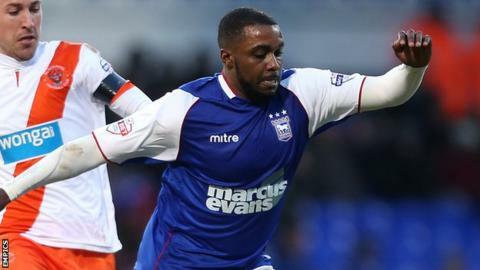 Ipswich Town boss Mick McCarthy will release striker Sylvan Ebanks-Blake in the summer and midfielder Stephen Hunt could leave the club as well. McCarthy has also said forward Paul Taylor and goalkeeper Scott Loach could also depart as he shakes up his squad. Ebanks-Blake, 28, has started just twice since signing a deal until the end of the season in December. "Sylvan won't be staying. I've spoken to Hunty - I won't be doing anything with him straight away," said McCarthy. He told BBC Radio Suffolk: "I'm not going to be making decisions until June I would imagine. Because we're not going to be signing players now and pay them for May, June and July. Even I'm not that bonkers." Ebanks-Blake, who played under McCarthy at Wolves, has not scored in 10 appearances, but former Reading wideman Hunt, 32, has made more of an impact, featuring 23 times since joining in November. Both players are out of contract this summer. Taylor, 26, was a £1.5m signing by previous boss Paul Jewell, but he has been hampered by injuries and has just one goal from 20 matches this term. Loach, 25, has been predominantly second-choice behind Dean Gerken but, like Taylor, has a year to run on his contract. "Loachy wants to play football. He wants to be a number one and that means he will probably have to go elsewhere," McCarthy told the club website. "He has been the perfect professional. When he has come in and played, he has done well. "With Tayls, I think he will end up going somewhere else. He's not been playing in my team and he won't be playing in my team. He's not my type of player."